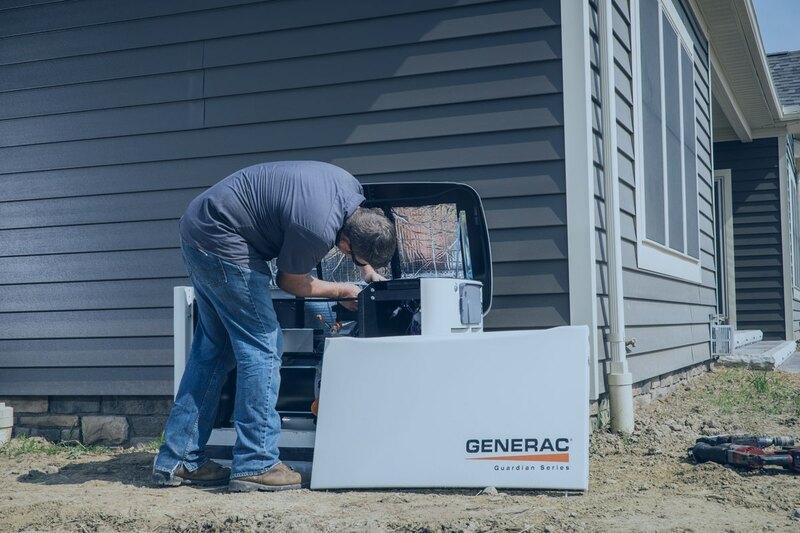 Designed and assembled right here in the USA, Generac generators give you the power and dependability you need without putting a big dent in your budget. And of course, we back up every sale with the kind of dealer support you would expect from our business. That means 24/7 emergency service from our staff of seven factory trained technicians. When it’s time to purchase a new generator, you want a brand and dealer you can trust. That’s why we hope you’ll put Millersburg Electric to work for you installing a Generac product. Electric. With nearly 3,000 sales of these units in the past 14 years, we have achieved the prestigious Power Pro Generac Dealer designation. Why Buy a Generator From Millersburg Electric? Standard add-ons, such as heavy cranking amp battery, and cold weather start accessories. Free applications for all necessary customer permits and coordination with fuel suppliers for proper connections. Service backed by seven factory-trained service technicians and extended preventative maintenance plans. Five year progressive warranty on each unit, with extended factory warranty options available for purchase, including up to 10 years of complete factory parts and labor warranty. If it’s time to get a generator for your home or business, do yourself a favor and contact Millersburg Electric today to see why customers throughout the region have trusted us for generations. What Makes the Millersburg Electric Sales Process Different? A retail showroom displaying generators, open six days a week for your convenience. Trained sales professionals to answer your questions. Free, no-obligation assessment at your home or business. 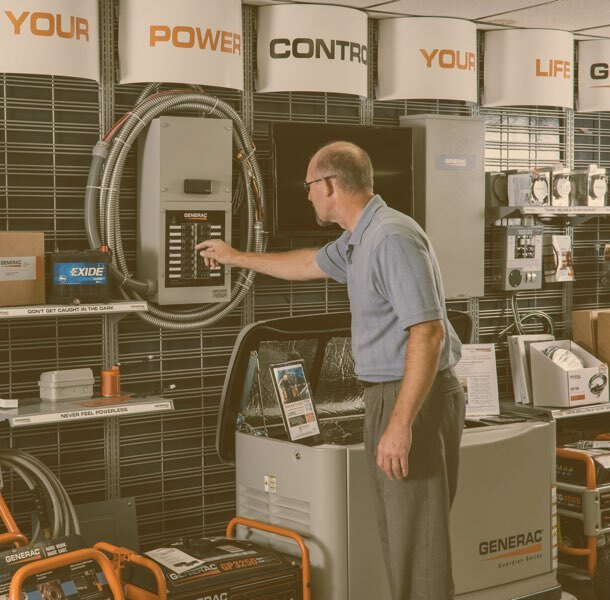 Prompt answers from live team members when you have a question or service request, including a dedicated, factory trained in-store staff person who directs the generator service. 24/7 emergency service where your after-hours call goes directly to the owner. Optional coverage and ongoing preventative maintenance plan the take the stress out of your purchase. 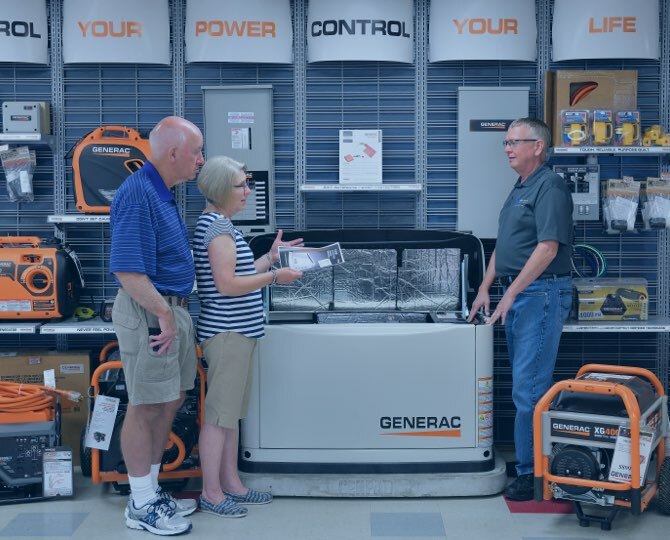 Lots of companies offer generators and other home products, but only Millersburg Electric could combine national retailer pricing with a local family business service. Come and visit us today! I was very impressed with Millersburg Electric from the first call to them to the final installation. Couldn't ask for any better service. I would highly recommend. Outstanding service! These guys know their stuff! Prompt and friendly staff. Highly recommend! We were very pleased with the initial informational presentation and the continued service and professionalism throughout the purchasing and installation process. I shopped all the dealers in my area. The choice was clear..Millersburg Electric..My satisfaction didn't stop at the estimate. When the crew arrived to install the generator it was obvious that they were of the same high standards as I expected from the estimate. The job was executed quickly and efficiently. EVERYONE I dealt with was courteous and knowledgeable. With Millersburg Electric I found three areas where they excelled. Competence, professionalism, and friendliness. They understood my somewhat complicated situation (where other dealers either just shook their heads or quoted ridiculously expensive overkill's) and quickly identified a cost-effective solution. I am so impressed with this company. They answered my initial request for information immediately. They came out within a few days to give me a very fair estimate. Their installation was quick and so neat that I could hardly tell they had been there that day. I had to get information on a weekend when they were not open and even then, my email was answered quickly! I feel such a sense of safety now having this installed. Everyone from the sales coordinator to the install team was friendly and very professional. I highly recommend this vendor. Once the sale is completed, it’s time for our professionally trained technicians to get in action. Our dedicated, factory trained generator service coordinate takes care of all of the paperwork and scheduling. This involves a complex, multi-week process. The exact amount of time needed depends a great deal on the generator you choose and uncontrollable factors such as weather. However, our technicians are experts at getting the job done smoothly and efficiently. The process of coordinating the natural gas or propane connection begins, and any necessary permit application will occur. Our team will plan to deliver and place the generator at the agreed upon location on your property. 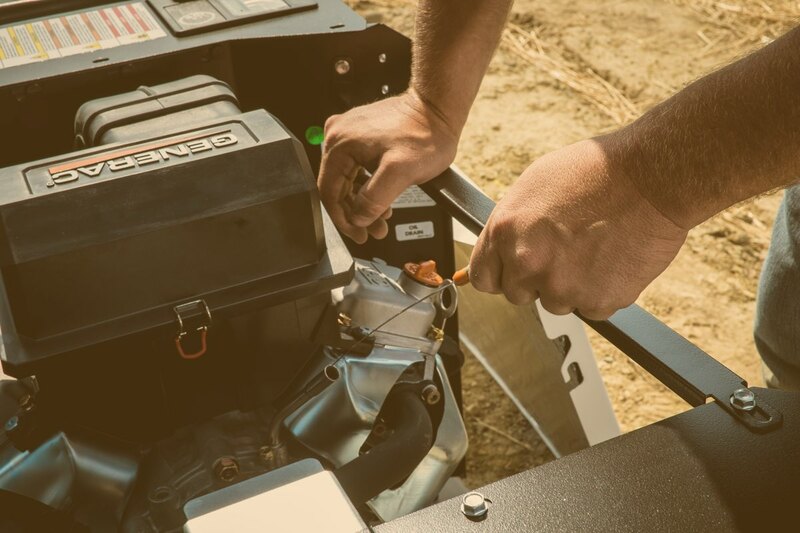 Once the fuel had been connected, we will schedule our installation team to complete the electrical connections and perform the required Generac start-up procedures. Typically, this takes about a half to a full day to complete. You will then be protected with back-up power when the next outage occurs! Delivery of your generator to the specific location you designate for our team. Filing for necessary permits, including any needed power disconnections and utility appointments. Natural gas line connections to your generator and coordinated work with a plumber (we can work with yours or provide a plumber as needed). If unit to be operated on propane, we will coordinate connection with your designated propane provider. You are then protected against utility power outages! Never feel powerless again! Have questions about generator sales, service, or installation? Contact Millersburg Electric today! Long after the sale Millersburg Electric is prepared to take care of any repair or maintenance issues concerning your generator. 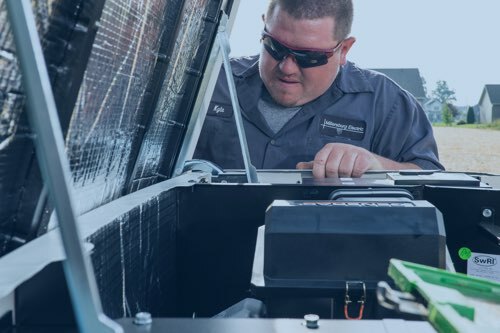 Service calls – which are needed in the unlikely event that your generator has stopped working because a part isn’t functioning or something unexpected has happened to your product. These are rare but do occur occasionally. Maintenance calls – these refer to the preventative work our team can do to keep your generator running in perfect condition. With the right maintenance plan in place, you will rarely ever need a service call. Should your generator not perform properly, our trained service technicians are prepared to go into action, including 24/7 emergency service to repair your generator. We are just a phone call away! Our most popular plan is an annual maintenance agreement performed by our trained team that includes oil change, new air and oil filters, spark plugs, and a multi-point inspection of battery and electrical outputs. For even better piece of mind, we offer an enhanced plan, which includes two visits per year. One for the complete service, and a second “wellness check” to perform output testing and proper function of the generator. Self-maintenance by the owner can be performed by purchasing the ready-made maintenance kit, which includes all of the oil, filters and spark plugs for your unit. Twice-yearly wellness checks that include all the annual maintenance options plus additional preventative care. Whichever option you choose, maintaining the unit annually is a very important aspect of owning a generator. Contact us for any questions and further information regarding maintenance plan costs and options, as well as details related to warranty and standard service. At Millersburg Electric, we are proud to say we only sell the best, and that we back it up with service that can’t be topped by anyone. 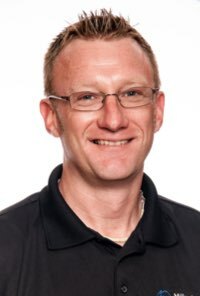 With a degree in Business Management from the University of Akron, Damian Conkle brings over 15 years of sales experience to Millersburg Electric. 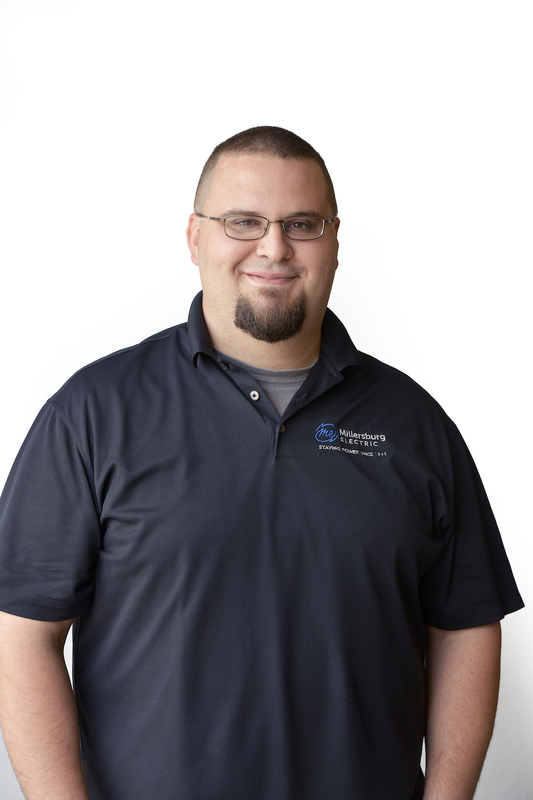 With strong organizational skills and an eye for detail, Damian is well-equipped to coordinate the multiple steps of your generator home installation smoothly and efficiently. He also recently completed Generac's PowerPlay classes, enabling him to conduct thorough in-home consultations as you think through your various generator options. 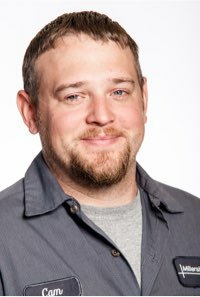 Cameron Taylor heads up our generator service and installation department and is well-versed in every aspect of the Generac product line. Working at Millersburg Electric since high school, he has 18 years of electrical and standby generator experience, including electrical construction management training from Hocking College. Cam is trained to the highest level of Generac factory trained service certifying him to troubleshoot and repair both air and liquid cooled generators. Recently Cam suggested to Generac about a suggested change to a certain automatic transfer switch. Generac engineers loved the idea and created the new switch. Cam was recognized in 2017 in front of nearly 2,000 piers at the Generac annual conference when this switch was introduced. They affectionately named it the “Cam Switch”!